Buy a t-shirt today to help us continue fundraising for a traverse climbing wall for our gym! All funds raised will be paid directly to Innabah Camp and Retreat Center for Installation of traverse climbing wall in gym!. To kick off this year's t-shirt drive we would like to say thank you to all that made last year's t-shirt drive a huge success. 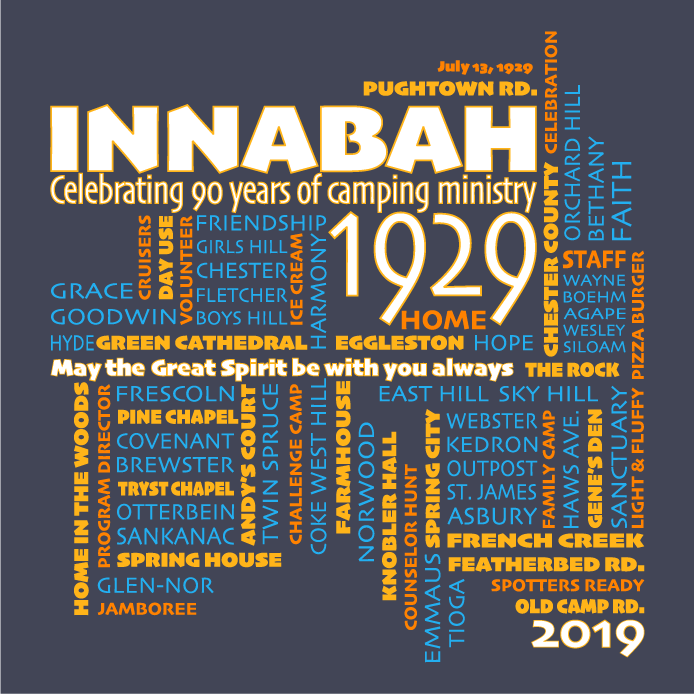 This year we are celebrating 90 years of camping ministry! Please help us continue to improve for many years of camping ministry to come! With this year's t-shirt funds we hope to purchase of a traverse climbing wall for the gym. Just like last year, during this drive is your one chance to get this unique, limited edition t-shirt, after this fundraiser it won't be available again! As a camp we will be purchasing a shirt to put on display in the dining hall. Get your t-shirt today, and you've already begun your packing for the summer! 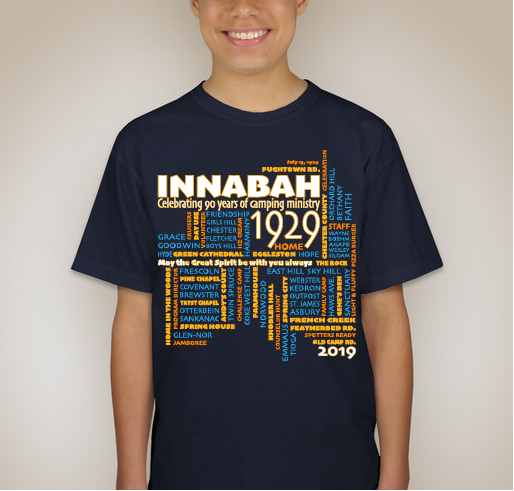 Here at Innabah, our mission is to provide experiences that last a lifetime in an environment where campers and guests can make new friends, challenge themselves, and explore and grow in their faith. In addition to continuing our long standing camp traditions, we are excited to offer many new summer camp sessions and activities for the 2018 camping season. Innabah Camp and Retreat Center is proud to be accredited by the American Camp Association, which means that we have met over 300 standards of safety, programming, and operation to ensure that your campers have an optimal experience during their time with us. 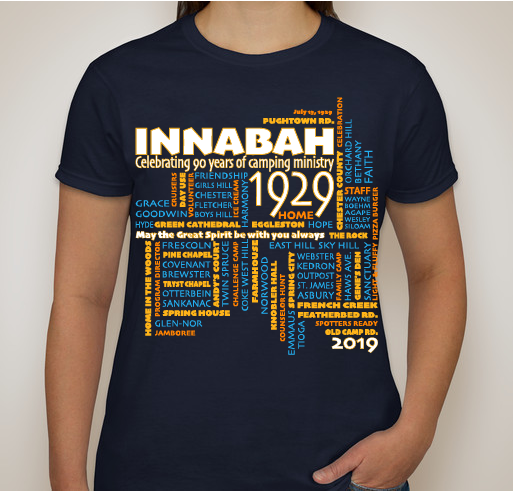 My granddaughter loves Innabah and has been attending for years. When my daughter mentioned buying two shirts to support the cause I was glad to make the payment for her to support this amazing camp! Innabah is a home away from home for me. I love coming there for summer camp. My children attended camp and I was a program director for Gene Troutman. 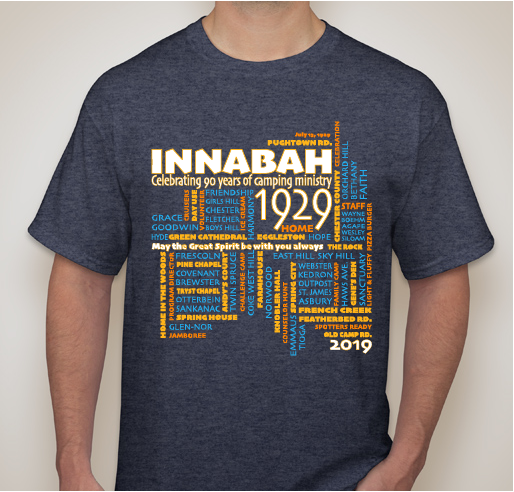 Share Why You Support "3rd Annual Innabah Spring T-shirt Drive"